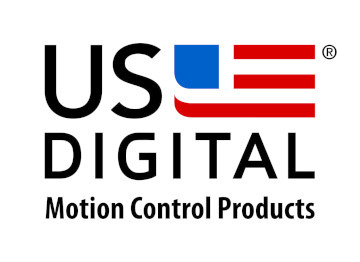 US Digital, a US manufacturer of quality motion control since 1980, today announced the addition of 400 and 500 cycles per revolution (CPR) resolutions to its existing E4T line of miniature optical encoders. Specifically designed for robotics, medical and other industrial automation applications, the new E4Ts deliver position and velocity feedback, while fitting National Electrical Manufacturers Association (NEMA) motors as small as size eight. Utilizing state of the art transmissive optical sensing technology, the newly announced 400 and 500 CPR resolutions represent up to a 38% increase in available CPR and now support applications requiring up to 2000 pulses per revolution. This substantial increase in resolution was achieved without any compromise to package form factor, electrical characteristics or output signal robustness. 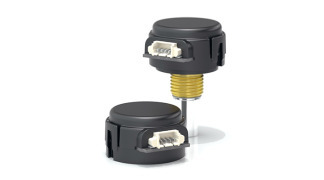 The E4T line of encoders is available in both single ended and differential signal outputs for applications where noise immunity is critical. Moreover, the 400 and 500 CPR options retain the E4T’s simple and efficient, push-on hub disk assembly process, helping US Digital customers keep installation time, assembly cost and complexity to a minimum.